Conventional historical accounts of European communism tend to delegate women to the margins. 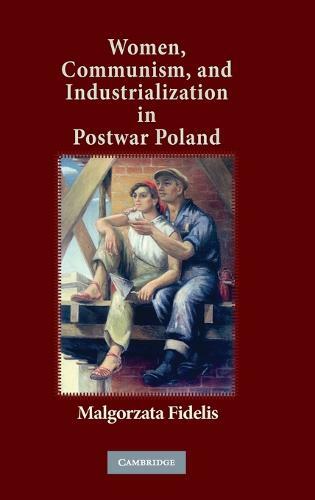 By focusing on female industrial workers in postwar Poland, Malgorzata Fidelis demonstrates that women, in fact, were central to the making of communist society both as subjects of policies and ideology, and as powerful historical agents in their own right. This book uncovers a dynamic story of political contestation between state and society, in which ideas and practices of gender played a surprisingly pivotal role. Through fascinating material ranging from previously untapped party and secret police records to ordinary people's letters to the press and oral interviews, the book offers new insights on the social impact of war, struggles on the shop-floor, the challenges of incorporating village girls into fast-moving industrial society, the societal resistance against women entering male-dominated occupations, and finally the unexpected consequences of liberalization and reform.